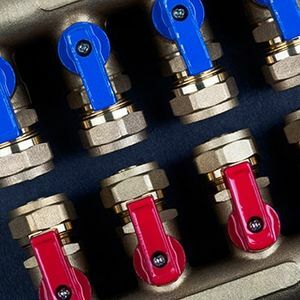 The fittings we carry at PlumbersStock come in all shapes and sizes for a variety of applications, including plumbing, heating and cooling, and lawn and garden projects. 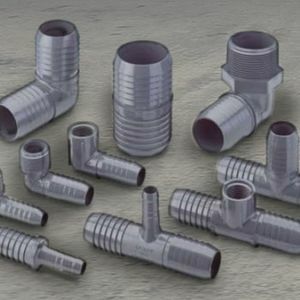 Get all the best pipe fittings online at great prices. What Is a Pipe Fitting? 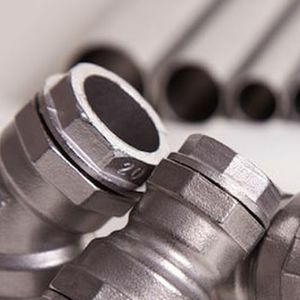 The most basic definition is any part that connects piping or tubing. This includes tees, elbows, valves, etc. Fittings will allow you to change the direction of your piping, split off new lines, and control the flow of fluid (valves). This is all useful, whether applied to HVAC systems, indoor plumbing, and sprinkler systems. We have fittings and valves from the best manufacturers in the industry, so take advantage of our discount fittings by Honeywell, Star Pipe, Sioux Chief, Viega, AY McDonald, and more. PVC - one of the most widely used materials in plumbing, PVC pipe fittings are durable and inexpensive. 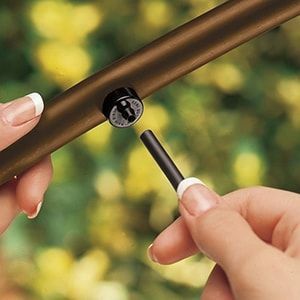 PVC is used for virtually every sprinkler system you will find. It has application outside of plumbing as well, for instance wiring can be encased in PVC to prevent electrical accidents. PVC is short for polyvinyl chloride. 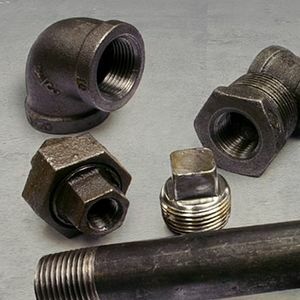 Black iron - commonly used for heavy-duty purposes, like the transportation of natural gas, propane, and water, black iron fittings are built to last. 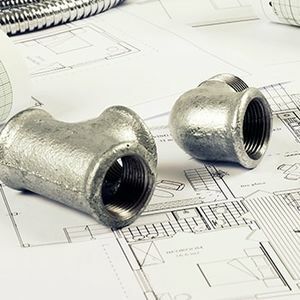 Galvanized - built to resist corrosion, galvanized pipe fittings are made of galvanized steel which gives them the ability to stand up to harsh weather conditions. 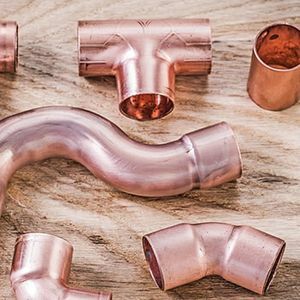 Copper - made to handle a wide variety of applications, copper fittings are great because they make for an easy installation, are free of lead, and like the previous two materials they can withstand corrosive elements. 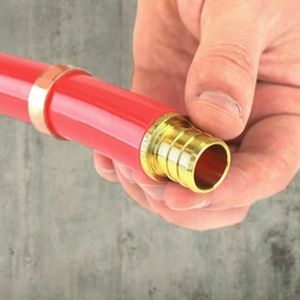 PEX - one of the great benefits to installing PEX fittings is that they create a strong bond without the use of adhesives or other methods for strengthening the connection. 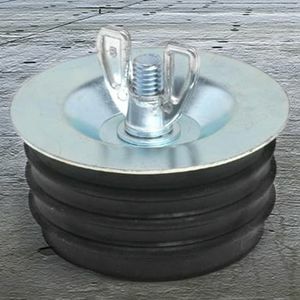 ABS - if you live in a cold weather area, you will want to make ABS pipe fittings your friends. 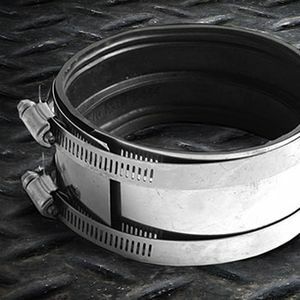 With their ability to withstand low temperatures you can protect against cracks in your system. 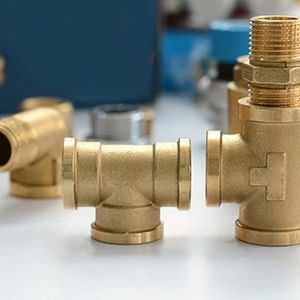 Brass and bronze - two of the most versatile materials when it comes to fittings, brass and bronze are durable and can resist damage from a variety of threats. 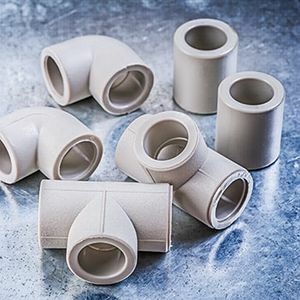 Polyethylene - very similar to PVC, polyethylene fittings differ in that they are barbed so they do not require glue and primer for a bond and the material tends to be more flexible. 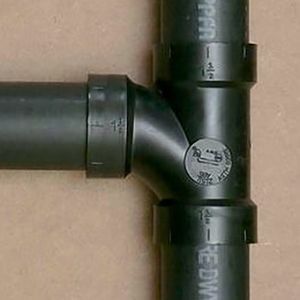 Make sure you get fittings that are compatible with the piping you intend to connect. Not all fittings are pipe fittings. 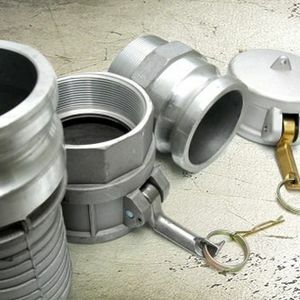 We also carry non-plumbing fittings for application in HVAC and irrigation (sprinkler and drip fittings). Don't forget about the various types of valves and manifold systems. Our friendly and knowledgeable staff can put you on the right track if you are not certain which is the best pipe fitting for your home improvement project. If you need help, do not hesitate to contact us. Our priority is to help you feel comfortable with your purchase, which is why we offer the lowest prices on the web, excellent service, and fast shipping. Thank you for choosing PlumbersStock.